Don’t want to have FOMO during spring break? 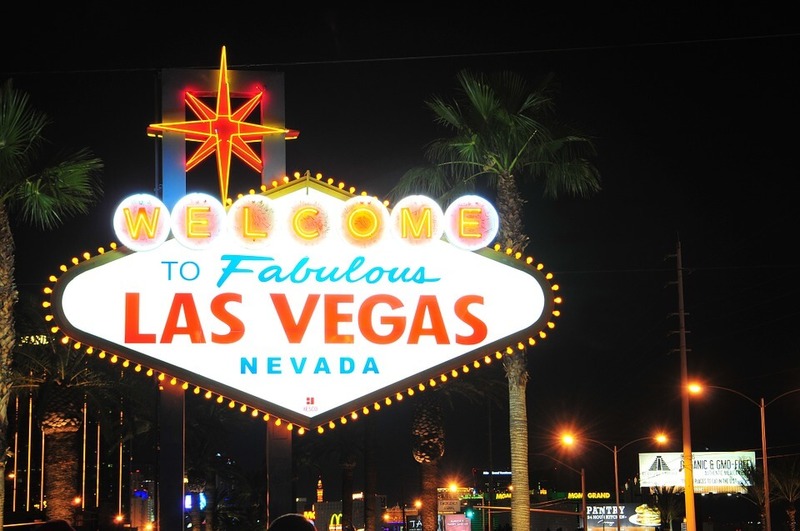 Check these 11 best spring break destinations. Whether you plan on tanning on the beach, partying by the pool, clubbing with the world’s best DJs at night or even exploring old towns throughout your vacay, you have a lot of options. Get ready to whip out your instagram and head to these beautiful spots for some serious fun in the sun. 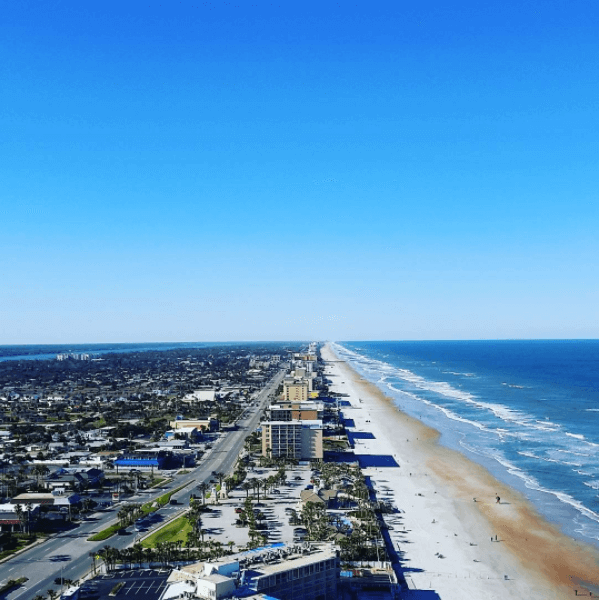 The hunt for the perfect– and inexpensive– place to party on the beach without having to cram the entire squad into a single hotel room can rule out a lot of places, but not Gulf Shores. It has great nightlife and beautiful beaches, so you’ll find tons of college kids here for spring break. You can rent beach houses and spend the week living it up on the beach. “The best part was the easiness of getting everywhere, everyone was very close and it was fun to walk,” said Texas Christian University senior Courtney Tate. After a long day of partying and tanning, head down to The Hangout, a beach shack with seafood, burgers and unique summer drinks that happens to be the favorite food spot for college kids. Sometimes you just have to splurge for your perfect spring break trip. Cabo San Lucas might be one of the more expensive spots, but that only means bigger and better beach parties. At Medano Beach, one of the most popular beaches in Cabo, you can find crystal clear waters, boating trips and activities like jet skiing and paddle boarding. At the beach, bars like Mango Deck and Tabascos line the sand– one of the most popular all inclusive resorts, Hotel Riu Santa Fe, has swim up bars right on ocean’s edge. And in the nearby town, lots of clubs party all night long, making it the perfect spot to stay for #SPRINGBREAK2K18. Ireland strays from the “Spring Breakers” stereotype, but that doesn’t make it boring. 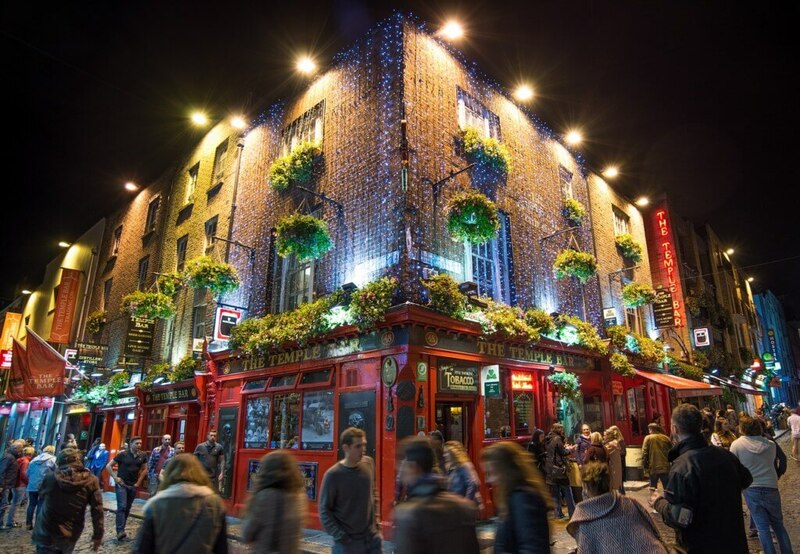 Ireland has it all—cities, beautiful countrysides and beer. “We ventured outside of Dublin and into the countryside for five days and it was so beautiful. Dublin was also unreal. It was fun, lively, the food was great and the people were so kind,” said prospective University of Chicago freshman Vicky Berman. If you want to experience both the city and country, Ireland makes a perfect mix of culture natural beauty. Plus, the Guinness Brewery lives in the heart of Dublin. Where you can go parasailing, snorkeling, surfing and bar hopping all in one day? 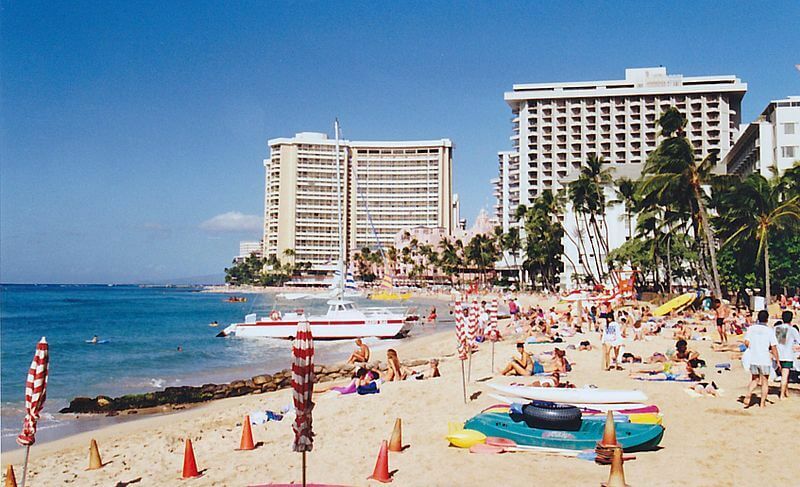 Honolulu creates a tropical paradise for spring breakers with the nightlight of Ibiza and without the masses of Mexico. The many condos available to rent in the city will save you some extra cash for some beachside margs, but if you want the full resort experience, check out Outrigger Reef Waikiki Beach Resort or Kuhio Banyan Club. And for nighttime attractions, you and your friends can barhop down the Waikiki strip to keep the party going all night. An island off the south of Italy, Malta’s wild parties, concerts and stunning views have made it a prime destination for European students for years. The crazy nightlife only counts for one aspect of the island. You and the squad will find tons to do in Malta during the day. You can cliff dive, visit the neighboring islands or explore the town of Paceville, where the nightlife takes place. If you like going on adventures and love to curate an incredible Insta story, you’ll find all that and awesome bars in Malta. If you love the cold and snow, Colorado makes a perfect alternative destination for your spring break. 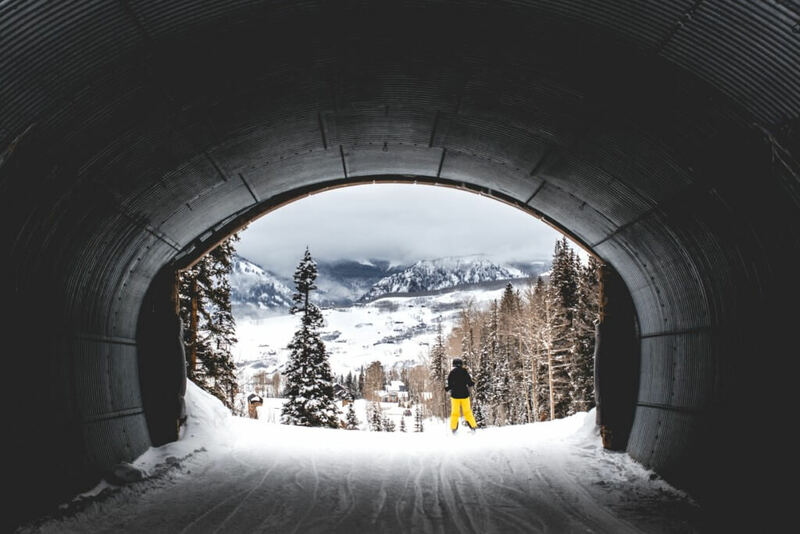 Daytime activities in Colorado include exploring the best slopes to ski, seeking out the best hot tub parties and of course, bungee jumping. With some of the best mountains and snow in the country, ski resorts like Breckenridge, Whistler, Vail, and Steamboat also have lively aprés-ski (after ski) nightlife. You’ll find no shortage of bars to hop and parties to attend. Breckenridge even has its own brewery. “Colorado is just as good as spring break in warm weather because it’s the best time for snow and everyone who comes to ski would rather be in the cold than the sun, so you know they’re seriously ready to ski,” said freshman Maggie Maher at the University of Colorado Boulder. 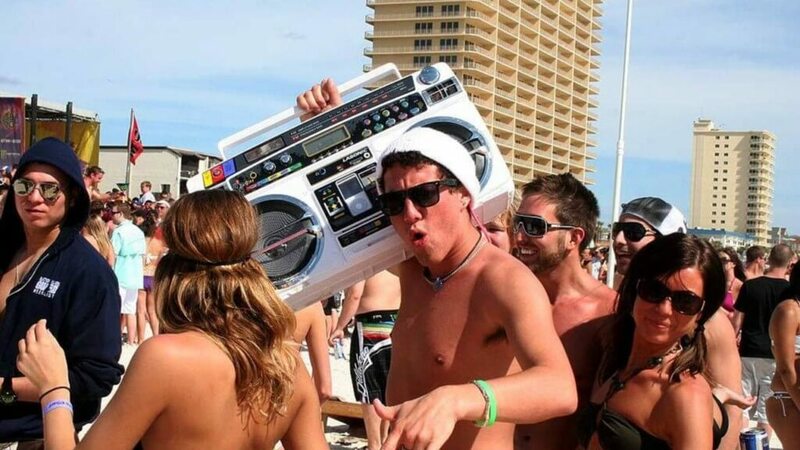 South Padre checks off all the items on your spring break bucket list: concerts, pool parties, booze cruises, you name it. The best part? While you won’t need to spend thousands on international flights or worry about losing your passport, you’ll still get to enjoy the Mexico-like weather and endless beach parties. “There is no schedule and the whole island is in slow motion. It is the perfect place to destress, have fun and do you,” said Purdue University freshman Colleen Yang. 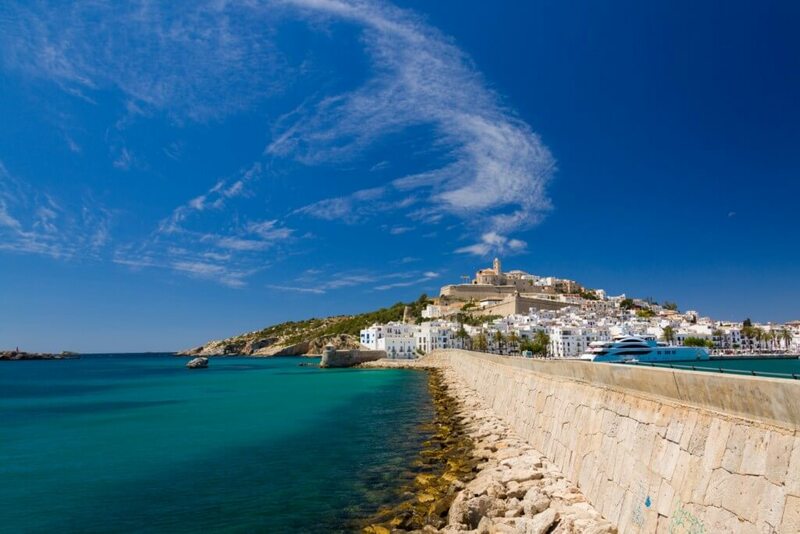 With an abundance of parties and natural beauty, Ibiza gives you a spring break location with the best of both worlds. With an old town filled with stone steps and walls, a cliffside view of the Balearic Sea and beaches like Cala Pluma with caves carved from water, the beauty (and Instagram pics) will never end. And don’t let the island’s small size fool you—the nightclubs of Ibiza have world-famous reputations. You’ll find plenty of other college kids all around the island on booze cruises, resort pool parties or in clubs listening to DJs like Martin Garrix, David Guetta, Kygo, and The Chainsmokers. If you end up at Puerto Vallerta, your week may look something like this: tanning on the beach while sipping Pina Coladas, partying by the poolside in the sun and dancing the night away at popular clubs. “It’s popular because there are night clubs in the town with a legal drinking age of 18 and there are tons of other college kids,” shared Tufts University freshman Grace Fagan, who experienced PV as a senior in high school. During the day, you can relax on the long stretches of white sand beaches or go exploring with friends in the island’s hidden coves. And when the sun goes down, the nightclubs and bars come alive with college students all looking to have a great time. Interested in palm trees, dreads and chill vibes for spring break? 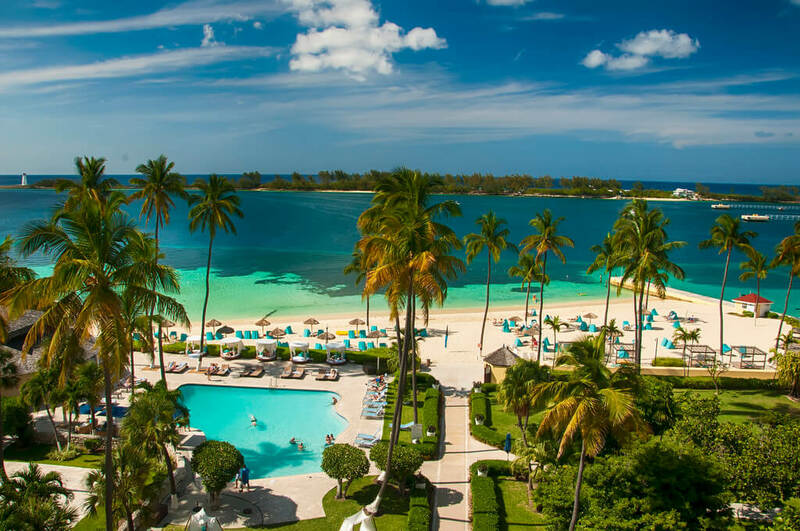 Jamaica is the perfect spot for a balance of fun and relaxation for you and your squad. This beautiful country doesn’t have as many crowds as the typical hotspots, so you may actually have a chance to relax on your spring break. Jamaica can make for an inexpensive vacation with all inclusive packages for hotel accommodations, airfare and parties— so you can save that extra cash for where it really matters: the bars. Montreal may not be the first place that comes to mind when most people think of spring break, but it will definitely call all cold weather lovers. Its unique atmosphere pairs with a drinking age of 18 and beautiful skiing close by for an amazing cold weather spring break destination. If you want the quaintness of Europe without spending money on insanely expensive flights, here’s your spot And with McGill University nearby, you won’t have to go far for cheap drinks and fun activities. 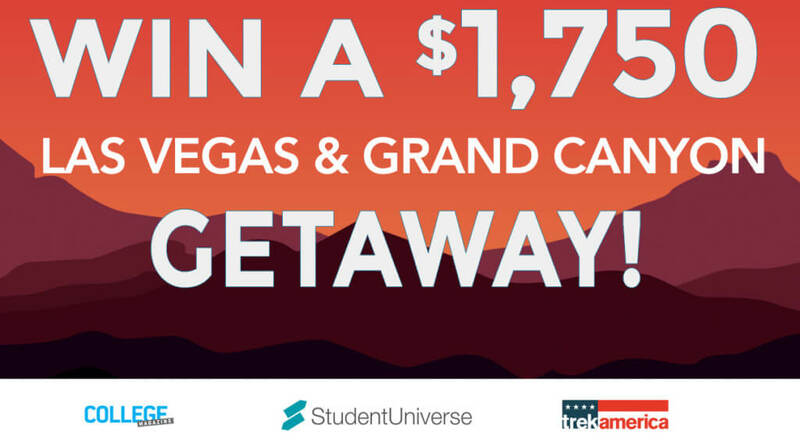 Need a spring break location that won’t break the bank? 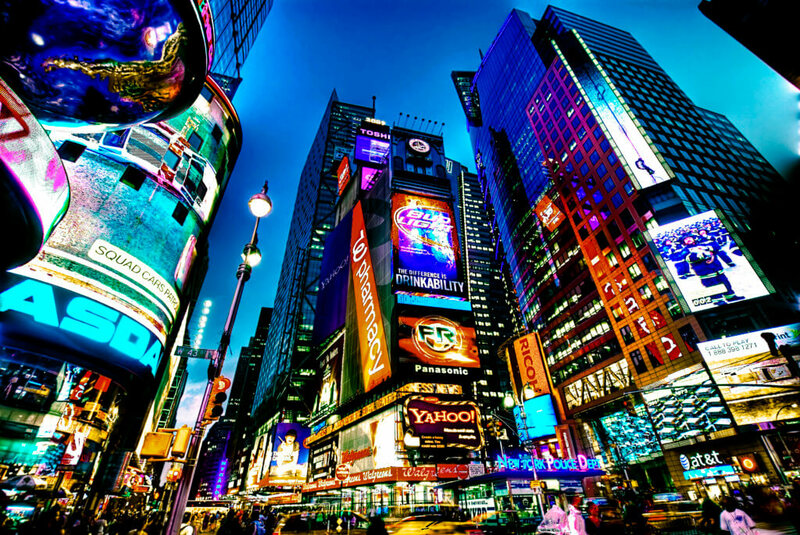 Make sure to check these 10 destinations out. Remember when you didn’t have to care about how much airfare and hotel costs were? The good ole days of being under your parents’ wing may have come to an end, but that doesn’t mean you can’t do your own fair share of traveling. Finding a spring break destination that offers a college-friendly budget can be difficult at first—but far from impossible. From exploring Cajun cuisine in New Orleans to partying on black-sand beaches of Puerto Viejo, Costa Rica, make your next spring break something you’ll never forget for a college-friendly budget. Want to explore the land of voodoo culture and seafood for spring break? 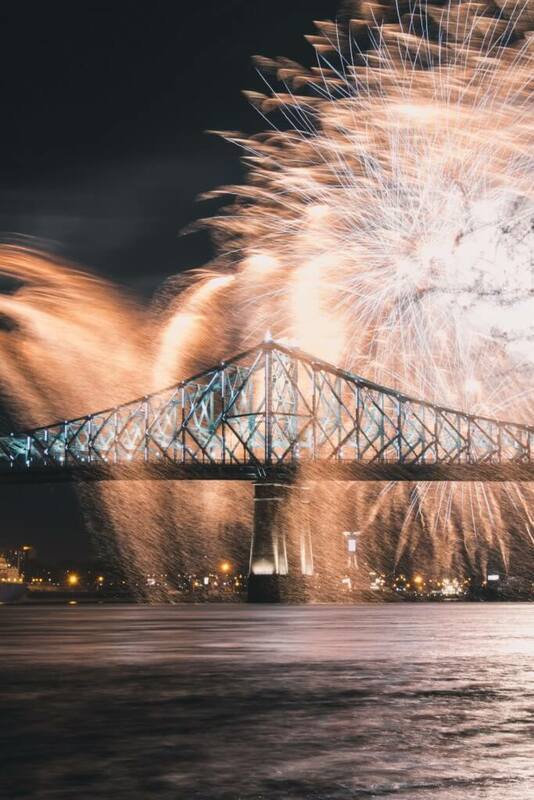 New Orleans provides an unforgettable experience for any student, whether they’re looking for new cuisine, some awesome bars to check out or to embrace its lively history on garden and architecture tours. 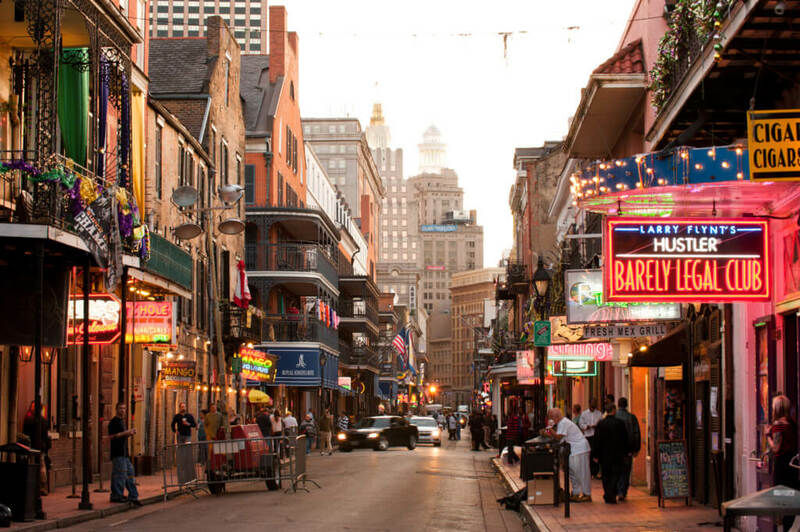 Take a walk down the famed Bourbon Street, whose atmosphere will dazzle you with neon signs of restaurants and local hotspots. When you’re not walking around the French Quarters—a hub of history and delicious Cajun meals for cheap—you can check out affordable rides to nearby beaches. You can even check out the relaxing (and free) areas of Grand Isle or Holly Beach in Louisiana. Soak up the sun as you stroll along the many crystal blue beaches of Puerto Rico. While you might be tempted to stay in the capital of San Juan, it can get pretty expensive. Instead, try heading southwest to the less-traveled towns of Guánica, Cabo Rojo and Ponce. Here, you can enjoy the warm water and classic Creole touches of Puerto Rican meals at a lower price. The further outside of tourist hotspots, the more likely you’ll actually have something in your wallet for the way home. And if you want to spend a day away from partying, you can easily book some cheap and quick rides to El Yunque National Rainforest. 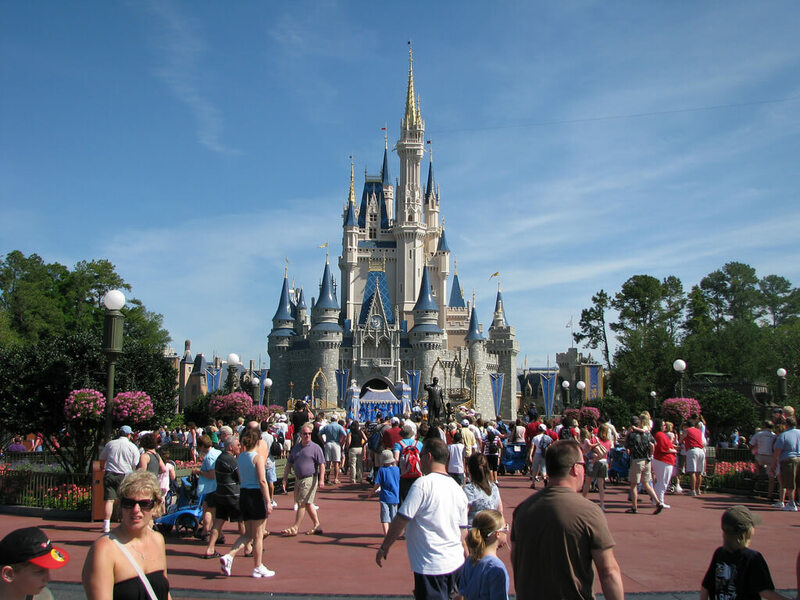 “Staying away from resorts is basically key to exploring what the country actually has to offer,” said Temple University freshman Nicolette Buoncristiano. It’s even cheap to get there. Buoncristiano booked a round-trip flight for only $180 for her own spring break. Mix the party scene with day adventures when you travel to one of the most cultural and history-packed cities in the world for spring break. Mexico City sits upon the foundations of the Aztec Empire: the once enormous and dazzling capital Tenochtitlan. Despite this marvelous city being landlocked, you’ll never get bored. Whether you want to explore the various ruins and temples of the Aztecs or hop on some thrill rides at Chapultepec amusement park, a spring break in Mexico may be the best decision. And if partying’s on your to-do list, don’t worry. The city has tons of bars and clubs scattered throughout its streets with cheap meals, too. Make sure to add the marvelous waters of the Pacific Mexican beaches to your itinerary, too. 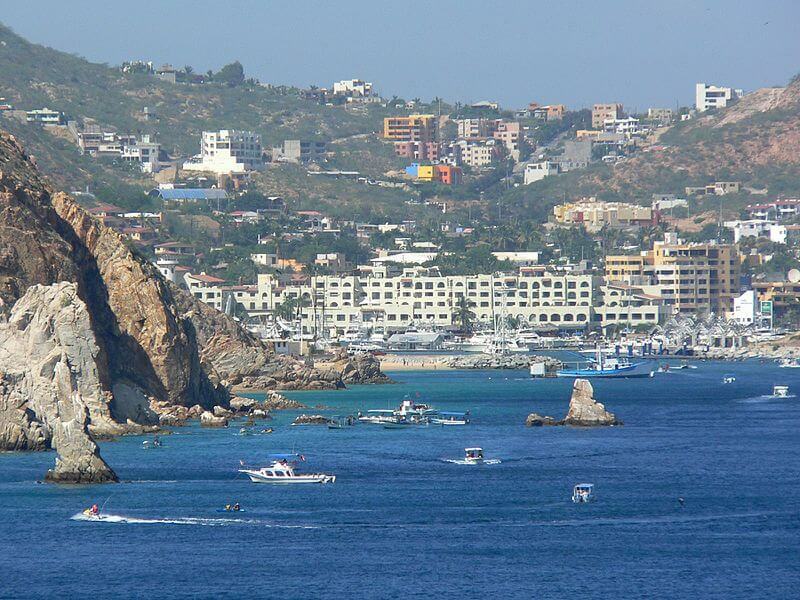 With a day trip to Acapulco Beach, your trip will make for picture perfect Instagrams. 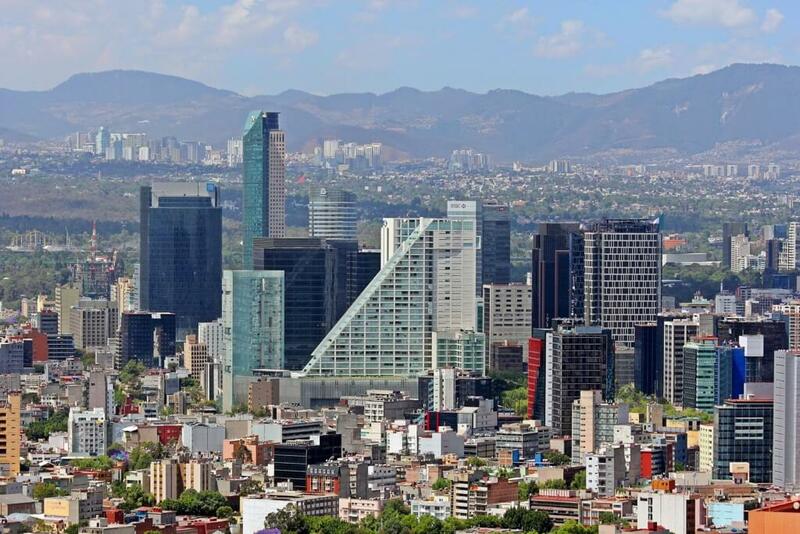 “The hotels were absolutely no higher in [Mexico City] than $75. I worked on developing my Spanish skills … and the airfare was about $400 but I bought it a few months in advance,” said Temple University freshman Haley Kowal. Get ready to live in a world of classic tunes and instruments for your spring break in Nashville. Known as Music City, this southern area will keep you rockin’ and boppin’ from landmark to landmark. While walking around popular streets like Broadway, your nose can hunt down some quality southern comfort food. Luckily for your stomach (and your wallet), an affordable restaurant will call your name just about everywhere you turn. Stop at the famous Arnold’s Country Kitchen on 8th Ave, a diner known for its cafeteria-style setup, and grab some mac and cheese and roast beef. After eating to your heart’s content—a spring break dream for some—make some time to visit the popular landmarks of the city. From the Country Music Hall of Fame and the Johnny Cash Museum to the Cheekwood Botanical Garden, Nashville will keep you moving and grooving during your stay. Round off the night with a cheap evening river cruise as well. 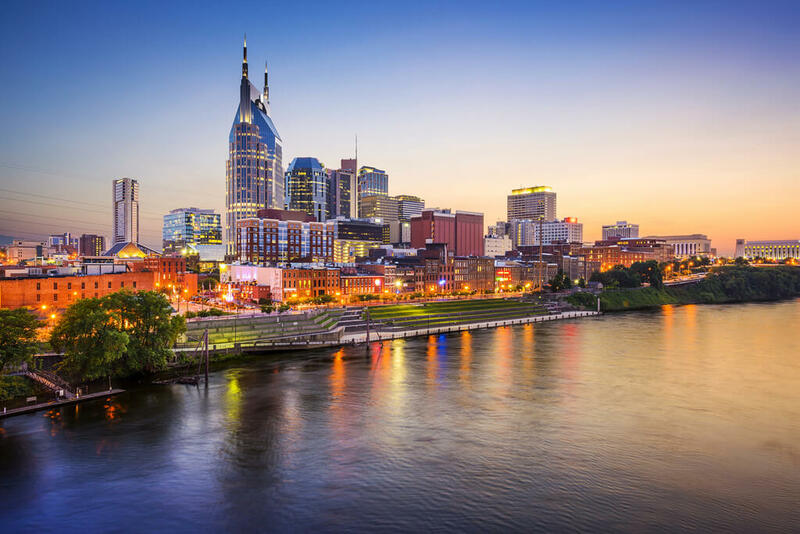 You’ll definitely want to see Nashville’s glowing skyline from the Cumberland River. 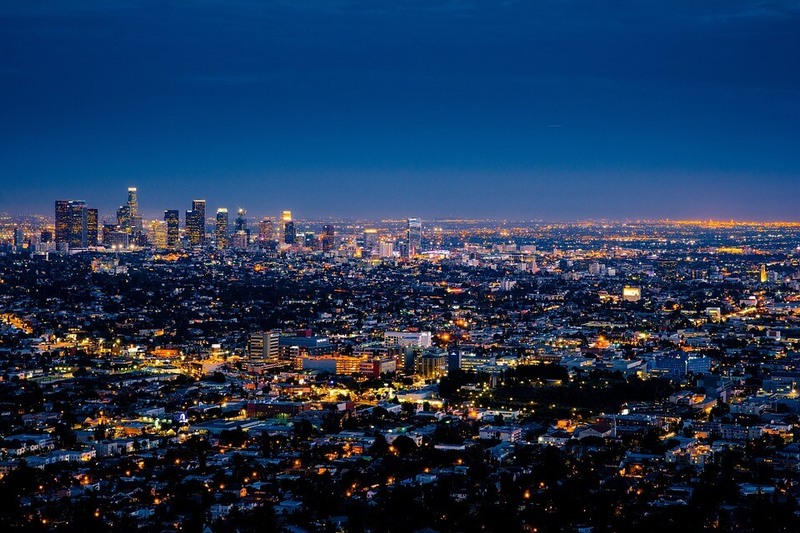 Want to stay at one of the nicest cities for spring break? Not only does Toronto hold plentiful adventures and opportunities, but the people are pretty awesome, too. Skyscrapers burst into the clouds and look over the vast Lake Ontario. Toronto welcomes travelers on a budget, especially since you can do so much with a discount or for free. Create your own tour of some of the most famous streets in the city by taking a cheap ride on a streetcar down Queen Street. At the end of route, you’ll find yourself at The Beaches, a clean neighborhood along the front of the lake. Don’t forget to visit the markets either. Check out the Kensington Market or the St. Lawrence Market for some eclectic indoor scenery and cheap, delicious food you can’t get elsewhere. 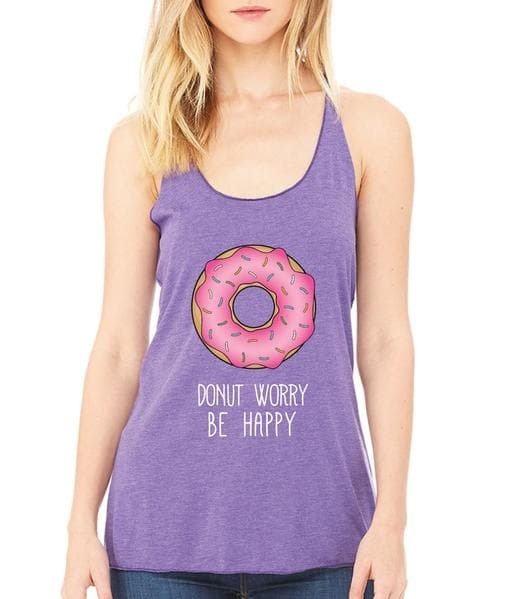 And for that spring break necessity (a.k.a. partying), Toronto holds dozens of bars and nightclubs like Uniun Nightclub or Cube to suit your fancy. If you seek a tropical flare for your otherwise not-so-beachy school life, head over to Punta Cana in Dominican Republic. 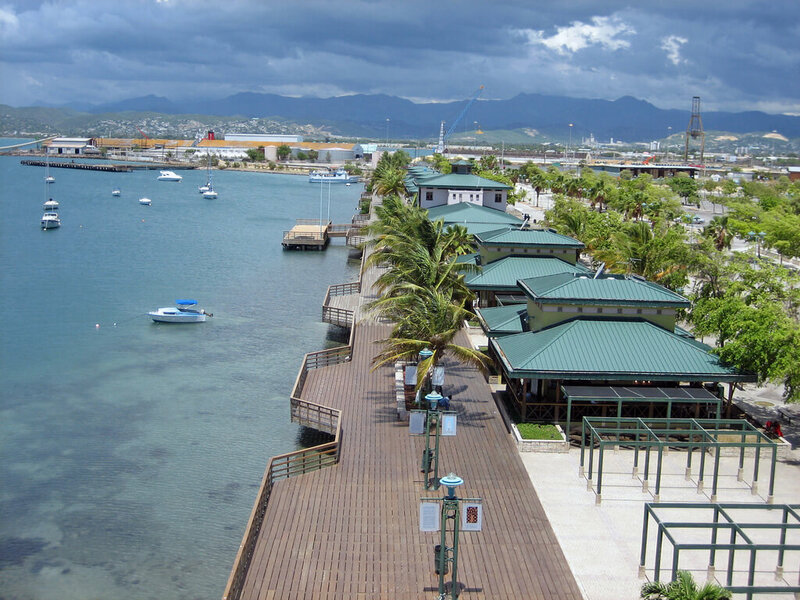 Its crystal blue waters and bright beaches beckon students who want a fun social scene and affordable prices. Don’t pay ridiculous resort prices. Find a cheap Airbnb and take quick taxi rides to Macao Beach, White Beach or Juanillo Beach, all open to the public. You can always find bars and clubs to order some fruity drinks, too. When you’re not soaking up the sun, head into one of the many authentic restaurants with extensive Dominican menu items to dine locally for cheap. You’ll experience some seriously awesome cuisine that combines Spanish, Taíno and African influences into one dish. 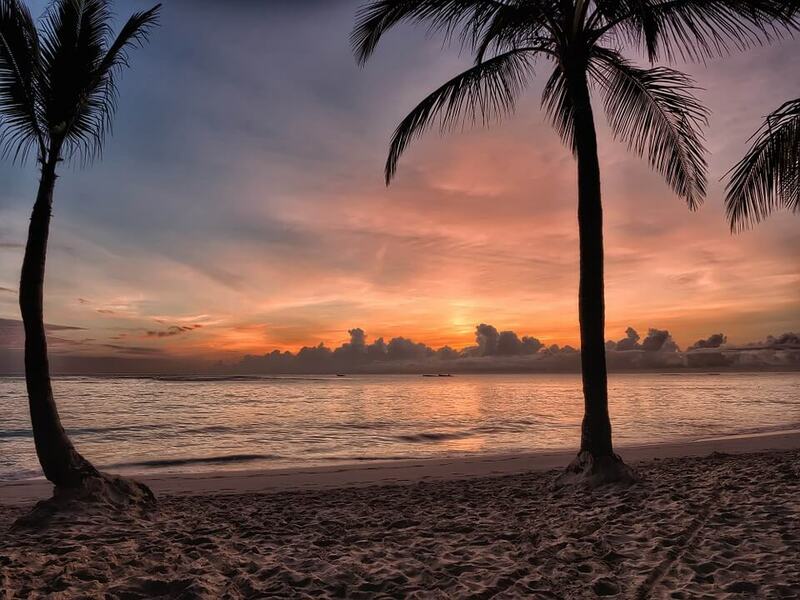 And pro tip: if you make your way past the beaches of Punta Cana into the heart of the Dominican Republic, you can find lots of cheap excursions like horse rides on the beach and explorations to rainforests. Why did Bella from Twilight leave the marvelous city of Phoenix? Who knows. This southwestern city basks in the sun year-round with wonderful temperatures, with national parks and authentic landmarks scattered throughout it. Whether you’re into nature (especially the desert) or exploring new cultures for your spring break, this destination deserves a spot at the top of your travel list. 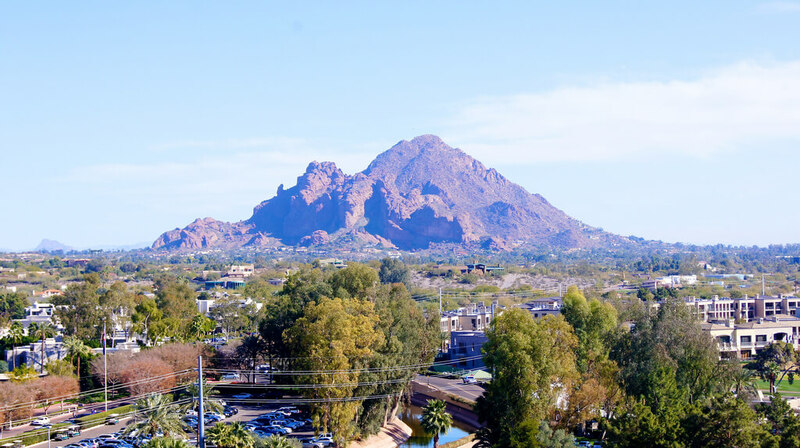 Hiking around South Mountain Park or Camelback Mountain Echo Canyon will not only keep you in shape—for free!—but provide you with all sorts of amazing views of ancient rock formations and desert plants, like cacti, that you’ve never seen outside a magazine. The best time to go? Sunrise or sunset. If you want to stay on lower ground for spring break, visit one of the many bars in downtown Phoenix, like Valley Bar on Central Avenue, after dropping by other museums and city landmarks. “My family and I drove [to Phoenix] and stayed in a vacation rental … for two weeks. It was completely worthwhile because my parents both grew up in Phoenix and they want to move back to Arizona next year … it is probably my favorite vacation to date,” said Temple University sophomore Zoe Hoffard. Hoffard recommends taking trips to the Grand Canyon, the Petrified Forest and Flagstaff if you want to explore more of Arizona. Time to unleash your inner child for spring break and throw back to your fave family vacations. At Myrtle Beach, tons of amusement parks and water parks are at your very fingertips. From Family Kingdom, Myrtle Waves and Freestyle Music Park to the various pop-up rides and boardwalk games, the thrill is on. Cheap tickets to these parks allow you to party all day with your friends kid-style. Not a fan of rollercoasters? Hop on over to the beach and splash around or tan. And when you leave, multiple bars line the way out, perfect for a quick marg or summer-y cocktail. 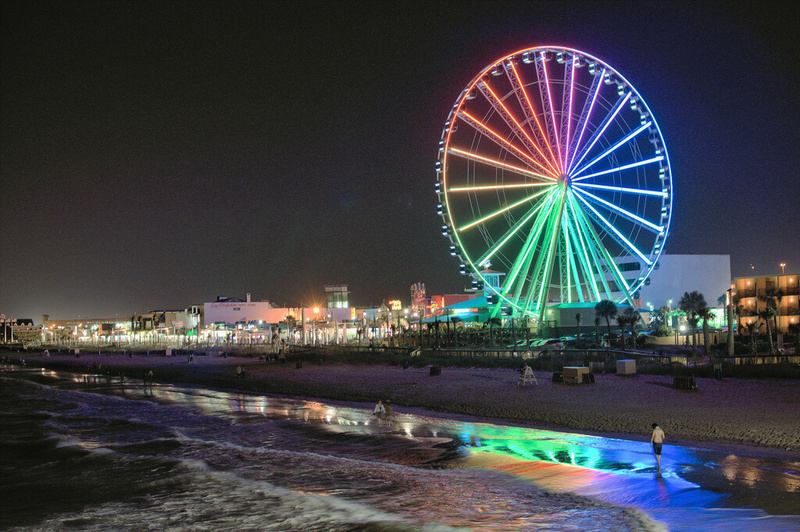 Myrtle Beach provides a spring break get-away for students who truly just want to have fun. Make sure to stop at one of the many mini-golf courses, go-carting raceways or Ripley’s Believe It or Not! Spend your well-deserved spring break in a lush, picturesque country—something everyone wants and needs. 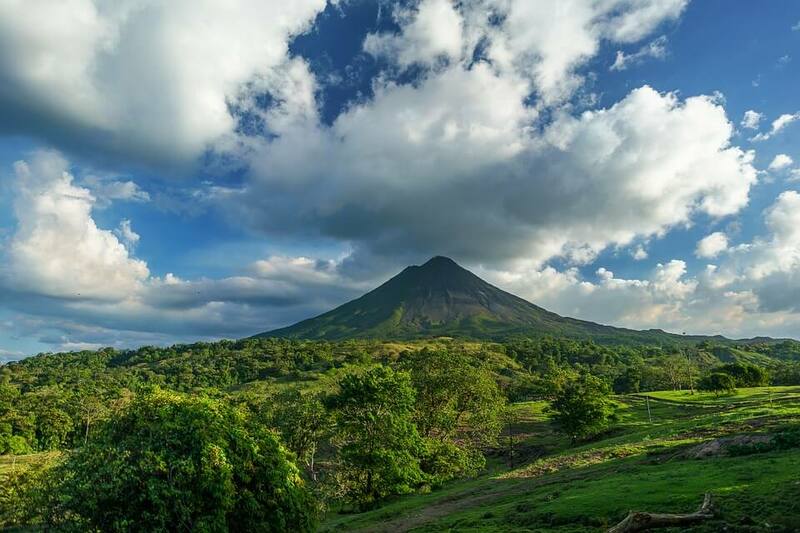 As soon as you touch down in Costa Rica, you’ll be surrounded by rainforests and one-of-a-kind beaches. 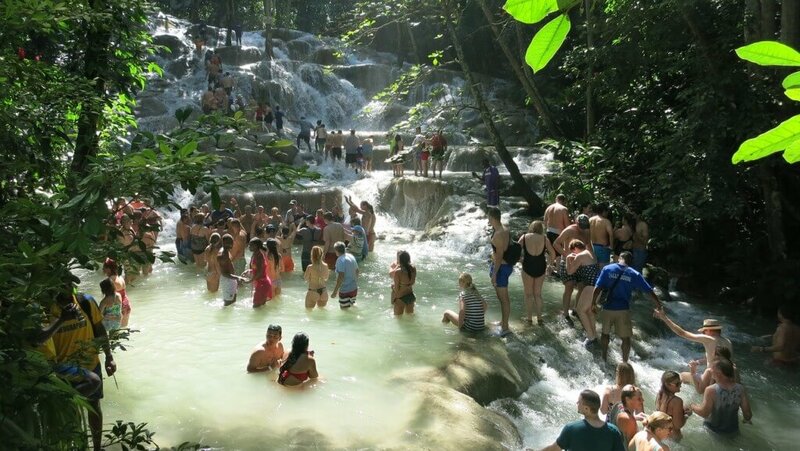 Extensive wildlife like Capuchin monkeys and three-toed sloths roam this natural land full of waterfalls: all sights you can see on cheap rainforest tours of the national parks. Not a fan of hiking? You can find tons of options for ziplining excursions through the canopies of Costa Rica. For the ultimate affordable experience, stay to the west that borders the Pacific, where you can travel down the spine of the country. Stop at public beaches like Lagartillo, Los Cedros or Manuel Antonio for some quality beach-time fun. The best news: Food and alcohol stay pretty cheap no matter where you go. 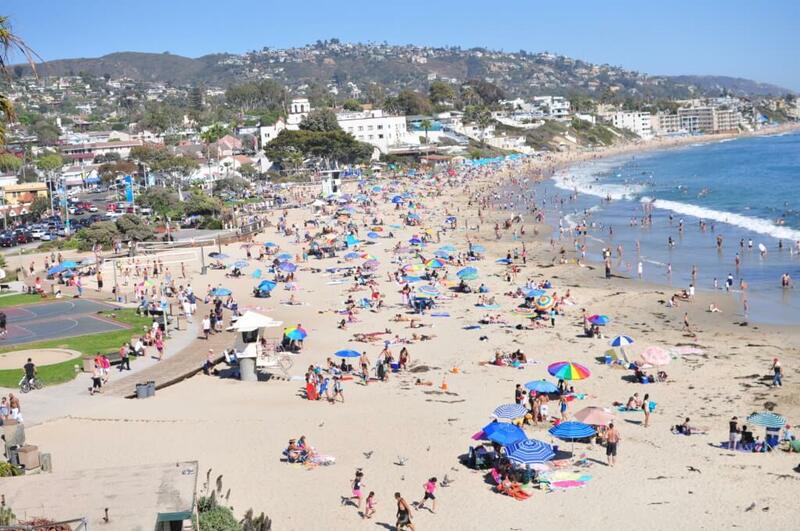 Looking for a different type of beach scenery for your spring reak? 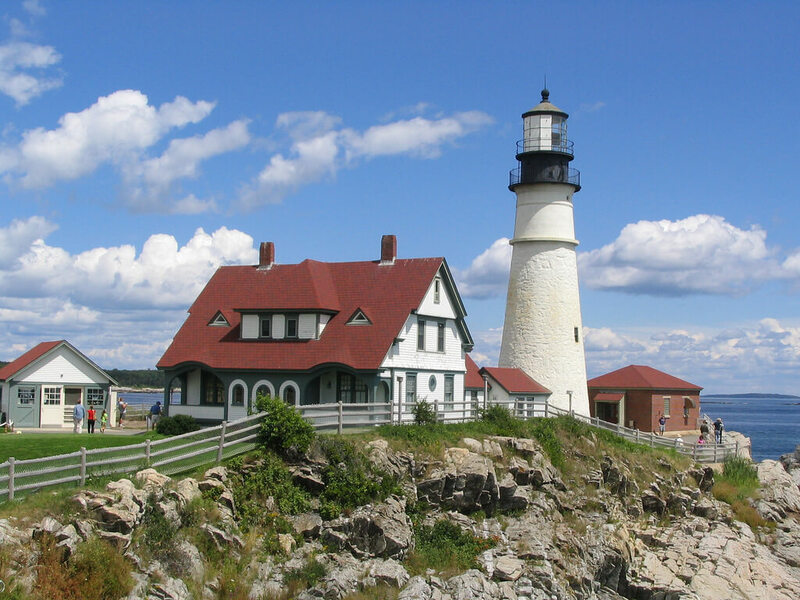 Check out Maine, one of the U.S.’s northern states and land of many lighthouses. Here, you can enjoy various types of Northeastern seafood cuisine, like lobster, crab, shrimp and clams. After stuffing yourself with clam chowder and lobster rolls, you can book cheap whale-watching tours in the Atlantic for an experience—and Insta post—of a lifetime. After all, when else will you ever get to see these humungous mammals in their natural habitat? On top of an alternative spring break setting, you can visit historic lighthouses and walk around the shopping district of Old Port in Portland before hitting up its eccentric restaurants and bars, like DiMillo’s On The Water or Andy’s Old Port Pub. Make sure to grab your binoculars and camera when you pack your bags to fly or drive up to this unique travel spot. Ready for spring break? You’ll need these essentials before you take off. *Updated on November 14, 2017 by Amelia Lytle to include spring break destinations 11-21. *Updated on February 1, 2018 by Francesca Furey to include 10 more destinations.